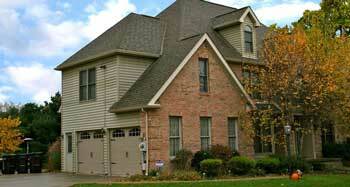 Charm Builders specializes in roof replacement, as well as new roofing projects, storm damage, and other home repair. No matter what your project, we are glad to take a look and give you our expert opinion — we offer free inspections and storm damage assessment reports. Since 2004, we are proud to serve the greater Ohio area, western Pennsylvania, and northern West Virginia with our quality Amish craftsmanship. After you contact us for service, we will make an on-site visit. Within a few days, we will provide you a proposal/estimate of your project. When your project is complete, we provide an itemized invoice so that you know exactly where your money is being spent. "Allen, thank you for all you do. The roofs look great and the men did a great job. Please tell the guys thank you again from me." 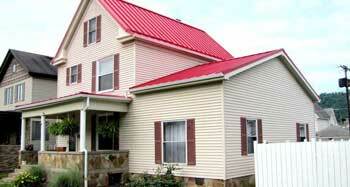 "Thank you so much for the completion of our roof. The workers did an excellent job. We are so grateful for your company. God bless!" "Thank you for honoring your referral policy. I received your check in the amount of $100 of the work done on my daughter's home. We both were pleased with the work done and with your workers. Thanks again - it was greatly appreciated." At Charm Builders LTD, our ultimate goal is to serve you and make your experience a pleasant one, and our team will stop at nothing to ensure that you come away more than satisfied. © CharmBuilders.com 2019 | All Rights Reserved.